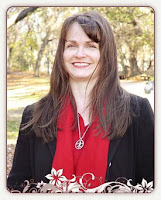 Today I am happy to bring you the very talented Christy English, author of The Queen's Pawn, which you can read my review for here: The Queen's Pawn review. Thank you Christy, for giving "Confessions and Ramblings of a Muse in the Fog" a deeper look into your exciting novel! The Queens Pawn is told from both Alais and Eleanor's perspective. Did you enjoy writing from one of their perspectives more? If so, why? I loved writing from both of their perspectives. They are such different women, coming from such different backgrounds and experiences. Eleanor was born knowing her own strength, while Alais in my novel is just beginning to know hers. Both women kept me fascinated from page one all the way to the end. What inspired you to write about Alais and Eleanor? I first saw THE LION IN WINTER when I was in high school, but I didn’t think much about those characters again until I had moved to New York and was wondering what in the world my next book was going to be. That’s when Alais showed up…she tiny, quiet voice said, “Remember the princess from THE LION IN WINTER? I want to share her side of the story.” I sat down the next week and got to work on THE QUEEN’S PAWN. When a character shows up, I listen. Which is why they keep showing up. Thank God. During the novel, King Henry tells Alais a couple times that she has changed. What change did he see in her and did she realize what it was? Henry saw her strength beginning to be born. He saw her ruthlessness, and her ability to be a political player at a time when most women sat on the sidelines and did nothing. For Alais to emerge from the convent and strike out on her own, even with some training from Eleanor, made Alais an extraordinary woman. Eleanor has a very different opinion about religion compared to Alais. What caused this strong opinion and was this a trait Eleanor had in real life? We do not know for certain what Eleanor of Aquitaine really thought about anything, because if she wrote anything down, nothing of that survived. I took the liberty of making her position on religion the polar opposite of Alais’. I did not do this on my own, though. The character of Eleanor as I conceived her was very clear on the fact that she felt that religion was to control the masses, not for those in power. While doing research for The Queen's Pawn, did you come across anything special or exciting that really made your day? Knowing that Eleanor of Aquitaine within her lifetime endowed many monasteries and abbeys. When I found that bit of knowledge, I did not think, “Oh, what a pious lady.” I thought, “Oh, what a fabulous spy network.” That may say more about me than the historical Eleanor. Is there any advise you can give for aspiring authors? Keep writing. Stay in the chair until you find your voice. Because no one else can tell your story. You are the only one. Stick with the work, even in the dark times, even when it is hard, no matter what anyone else says, until you are able to tell the story you are given. Svea, thank you so much for hosting me on your site and for reading my book. These questions are wonderful. I have really enjoyed my time with you. Also, for a chacnce to win this exciting novel, you can enter in my current giveaway here: The Queen's Pawn giveaway!